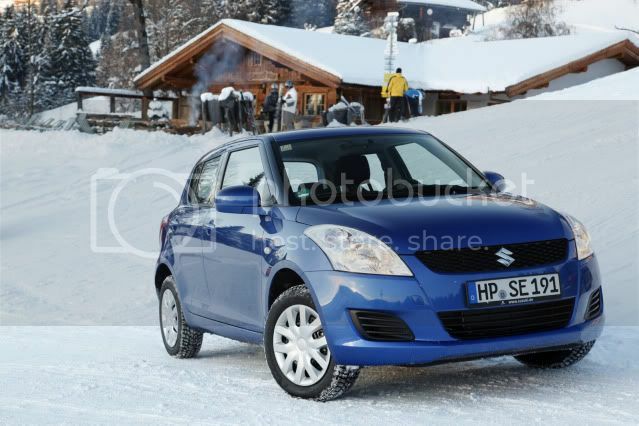 Suzuki is expanding the Swift and Kizashi line-up with the addition of four-wheel drive for 2011. The four-wheel drive Swift is exclusively available in 5dr and with a 94bhp (95PS/70kW) 1.2 litre petrol engine that’s mated to a 5 speed manual. Combined fuel economy stands at 51.3mpg (5.5l/100km) with emissions of 129g/km. It carries a price tag of €14,490 (£12,280) and includes including air conditioning, leather steering wheel, electric door mirrors, MP3/CD/radio w/USB port and audio controls. 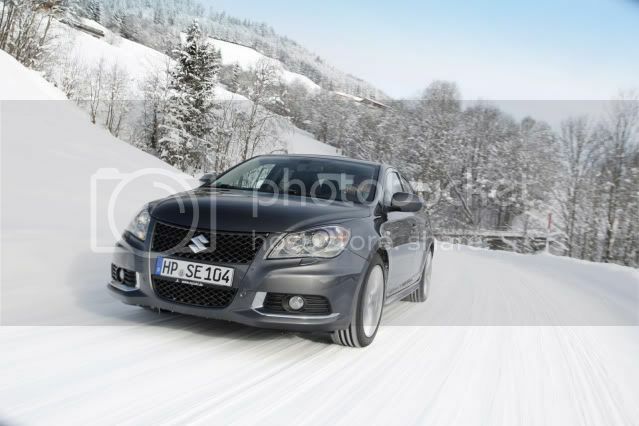 The Kizashi sedan is equipped with Suzuki's intelligent all-wheel drive system (i-AWD), which allows the driver to switch from front- to four-wheel drive at a push of a button. The Kizashi sports a 2.4 litre 178bhp (180PS/133kW) petrol engine that is linked to a continuously variable transmission (CVT). With combined fuel economy of 34 mpg (8.3l/100km), CO2 emissions stand at 191g/km. Starting at €29,900 (£25,380), standard features include xenon headlights, auto-dimming rear-view mirror, automatic climate control, 10 way electrically adjustable heated driver’s seat w/memory, and rain-sensing wipers w/dusk sensor.